Little Sienna was found stray and heavily pregnant early this summer and went unclaimed. She was up against the odds, but always let her sweet and loving personality shine through. Once placed in foster care, she immediately won the hearts of everyone she meets. Sienna is a very affectionate and playful young cat who loves attention from people. 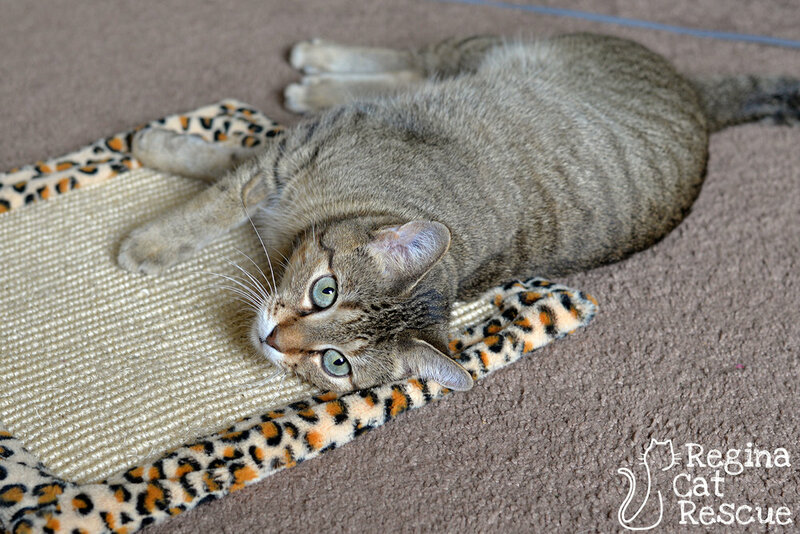 Her favourite toy is a laser pointer, and once she is worn out from play she loves to cuddle up with her foster mom, snuggling in close to sleep overnight. 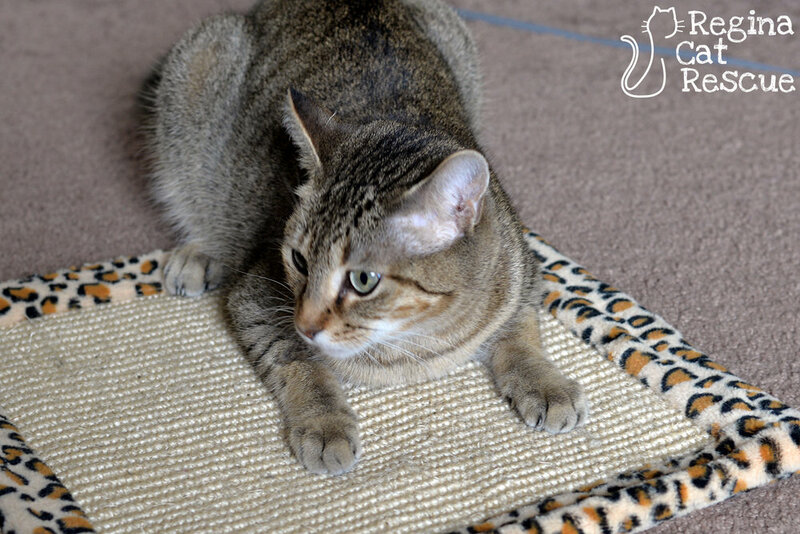 Sienna is a charming and easy-going kitty. You can easily win her heart with some cuddles and soft food, and she will shower you with you love. She gets along well with the other cat in her foster home but will happily accept all the attention if she becomes an only cat. If you are interested in Sienna, click here to view our adoption contract and click here to complete an adoption application or email the RCR Adoption Coordinator at adoptions@reginacatrescue.com for more info.